The snow was heavy on that night 60 years ago. The only alternative to riding all night long in a dirty, unheated bus to the next concert gig was a tiny airplane. 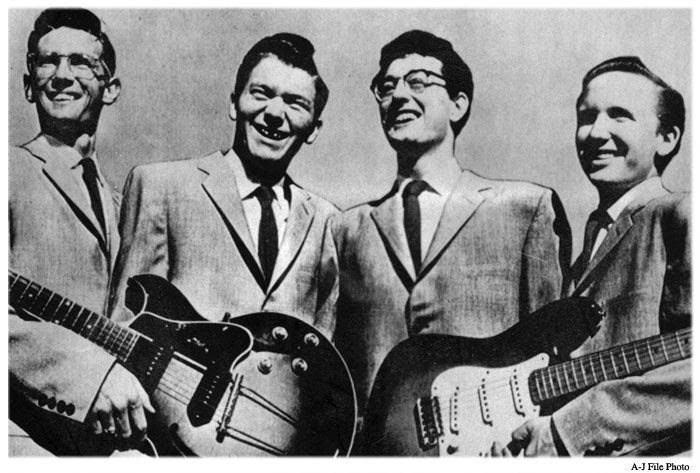 Shortly after takeoff, however, the plane carrying Buddy Holly, along with Ritchie Valens and J.P. Richardson, disappeared into a snowy cloud. Holly’s torn, mangled body was found a few hours later in a frozen Iowa cornfield a little past midnight on February 3, 1959. I was a 12-year-old kid at the time. For Buddy Holly fans like me, it seemed that all was lost, a feeling immortalized in Don McLean’s classic song. As an artist, Buddy Holly was only with us for 30 months, between 1957 and 1959, but in that short period, Holly’s innovation and keen musicianship made him the Mozart of rock music and one of the most influential musicians of the 20th century. Virtually everything we hear on recordings and see on video and the concert stage can be traced to two icons: Elvis Presley and Buddy Holly. Elvis, the quintessential star, soon forsook rock for slow ballads and mediocre musical films. To call someone who died at the age of 22 “the father of rock” is not as farfetched as it might seem. The songs Holly wrote and performed are rock’n’roll classics. They remain as fresh and potent today as when they were recorded over 40 years ago. “That’ll Be the Day,” “Peggy Sue,” “Rave On,” “Heartbeat” and others have been springboards of inspiration for countless budding musicians. As a songwriter, performer and musician, Holly is the acknowledged progenitor of nearly every world-class rock talent to emerge in our lifetime: The Beatles, the Rolling Stones, Bob Dylan, Eric Clapton, Elton John, Bruce Springsteen and others admit his influence. Holly was one of the first musicians to produce his own work. This allowed him to pioneer various techniques, including being one of the first to accompany the rock beat with strings. He also pioneered double tracking, which future stars capitalized on. Double tracking, which uses two tape recorders, allowed Holly to sing harmony to his own lead vocals and play both lead and rhythm guitar. This rendered the layered Holly sound particularly remarkable. Unfortunately, the complexity of Holly’s songs was not fully appreciated by American audiences, but songs that didn’t make the American charts were often major hits in Great Britain. One crucial detail sets Holly apart from Presley and other rock progenitors. Whereas they had all become solo performers by the time they emerged on the scene, Holly came to stardom fronting a group, the Crickets. He and the Crickets’ guitar/bass/drums lineup became the prototype for every rock band that followed. In March of 1958, Holly and the Crickets toured Great Britain (something Presley never did), bringing him face to face with many of his disciples. His famous television appearance on Sunday Night at the London Palladium held some budding musical talent in a trance. Several years later, Lennon and McCartney formed the Beatles (originally the “Beetles” in honor of the Crickets) and wrote and performed their own songs, as had their hero, Buddy Holly. Holly was the first rocker to break through based on ability, energy and personality. Whereas Elvis attracted a mostly female audience, Holly’s fans were equally mixed between the sexes. Holly was homely and wore glasses. And Reginald Dwight (better known as Elton John) ruined his eyesight wearing black horn-rims in imitation of Holly. As he took steps toward creating revolutionary music, Holly also rebelled against the apartheid that had divided white rock artists from blacks. He recorded one track (“Early in the Morning”) with a full gospel choir and another (“Reminiscing”) with the blues saxophonist King Curtis. Shortly before his death, Holly was planning to produce other artists (such as Ritchie Valens, Paul Anka and the newcomer, Waylon Jennings) and open a recording studio in London. After his death, Holly’s influence and songs remained pervasive. The Beatles continued what Holly had begun, multiplied his effect and became the greatest entertainment act of all time. Paul McCartney later acquired the publishing rights to all of Holly’s songs and inaugurated the celebratory Buddy Holly Week. Buddy Holly died with little realization of what his legacy would become. Yet he changed the course of history and filled our torn times with melodies that transcended the era in which they were written. Constitutional attorney and author John W. Whitehead is founder and president of The Rutherford Institute. 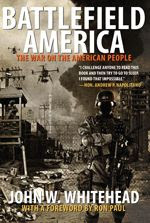 His books Battlefield America: The War on the American People and A Government of Wolves: The Emerging American Police State are available online at www.amazon.com. He can be contacted at johnw@rutherford.org. Click here to read more of John Whitehead's commentaries.